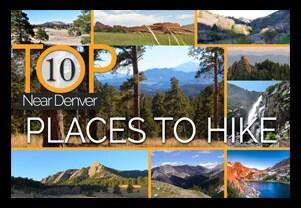 Where can you find waterfalls near Denver? 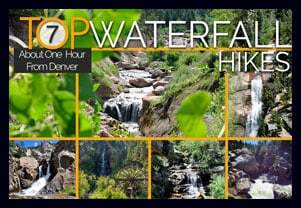 This collection of seven waterfalls are all within about a 1 hour drive waterfalls from the Mile High City. Trails to the waterfalls in this collection range from just 100 yards to 5.5 miles one-way. Each of the waterfall hikes have a more detailed trail profile with driving directions, maps, and tips for making the most of your adventure. 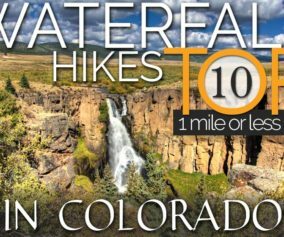 Because the landscape near Denver is not as dramatic as other parts of Colorado, we have a limited number of waterfalls close to town. 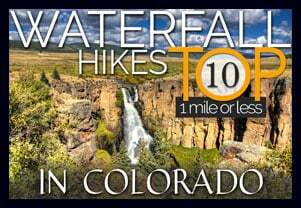 However, Dayhikes Near Denver has trail profiles for more than 30 Colorado waterfall hikes on our site, so be sure to see our full set of Colorado Waterfall hikes on our Dayhikes Near Denver Waterfalls page. 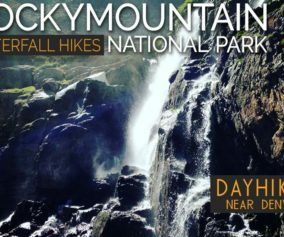 There you’ll find waterfalls in Rocky Mountain National Park–just 2 hours away–and many others located the farther reaches of our beautiful state of Colorado. 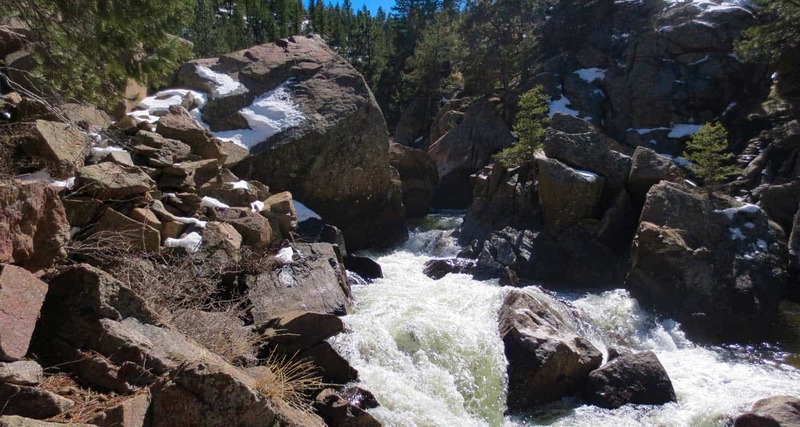 We’ll start with the most difficult waterfall to reach near Denver, but one that’s worth the 11 mile round-trip journey to see because it has the highest drop. 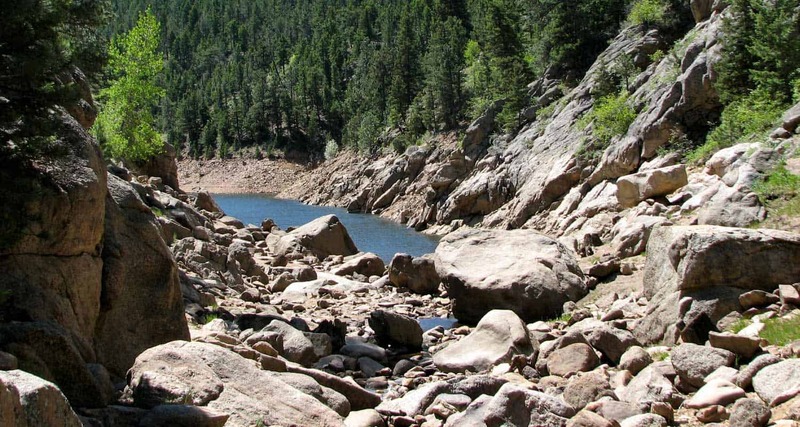 Elk Falls was unknown to most until opened to the public in 2013 with the creation of a new Colorado State Park, Staunton State Park. Overall it’s a long but moderate hike to the Elk Falls Overlook. Explore our full trail profile for more detailed information. 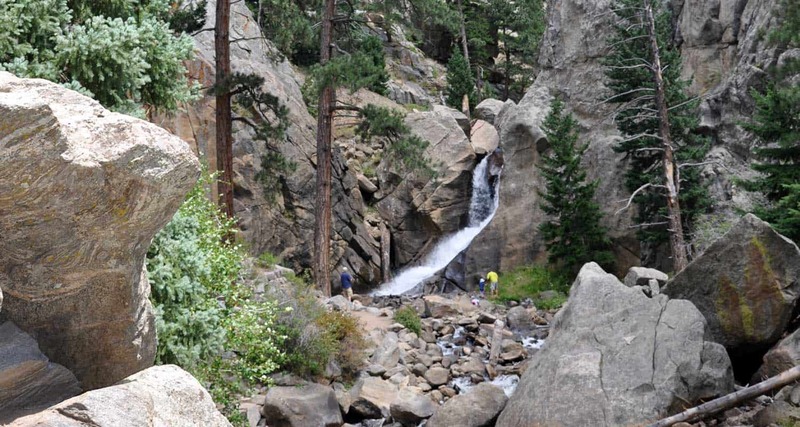 Eldorado Falls, along with Forsythe Canyon Falls (see below) is one of the lesser known waterfalls near Denver. Found along the Walker Ranch loop, this clamorous cascade dives under giant boulders then gushes out on the other side. Hikers can take this in as a part of the larger Walker Ranch Loop hike, or as a shorter 1.25 mile (one-way) hike in from the Ethel Harrold Trailhead. 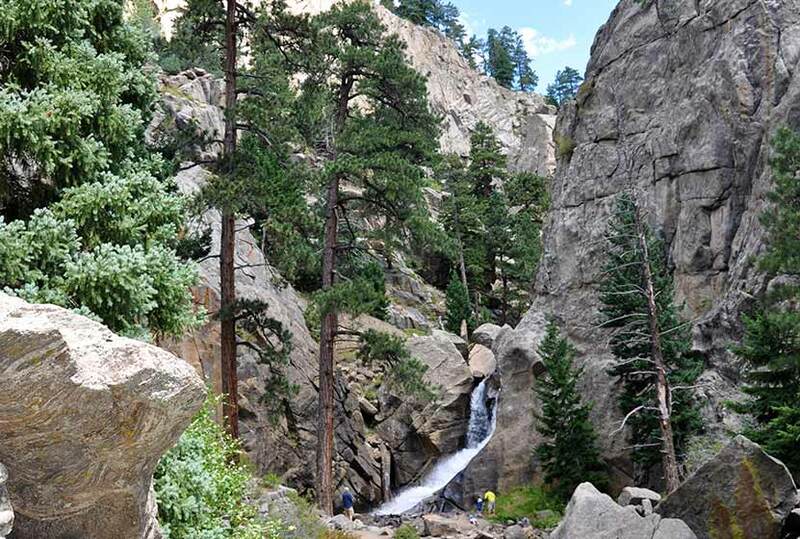 Boulder Falls dives over 60′ from a cliff face in Boulder Canyon. It’s about an 100 yard walk from the parking pull-off area along Boulder Canyon Drive. Because of the 2013 flood damage, the trail has been closed for repairs. Check our trail profile for updates and announcement when it is reopened to the public. A great alternative hike in the same general area is Forsythe Canyon Falls (see below). Named Castlewood Canyon Falls or Cherry Creek Falls, this waterfall is probably the most accessible falls near Denver, just .17 mile from the parking area. It’s at its peak in the Spring after a good rain. 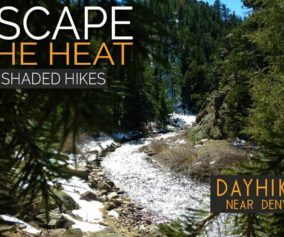 Be sure to get the details from our full hike profile and explore the many other trails in Castlewood Canyon. Bridal Veil Falls is the second highest waterfall in this collection (Elk Falls being the tallest). The hike to Bridal Veil falls is just a short jaunt on a concrete path to Water Wheel Park, which is being renovated and is scheduled to reopen in June of 2016. 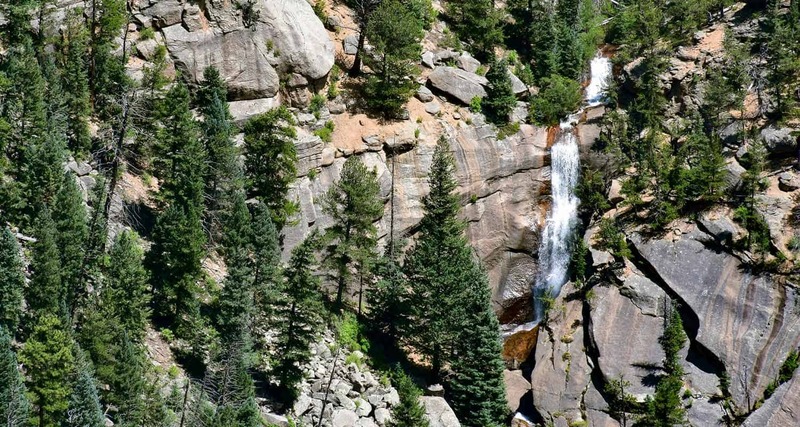 What makes this waterfall unusual is that it’s right in the town of Idaho Springs, much like Cornet Falls in Telluride. 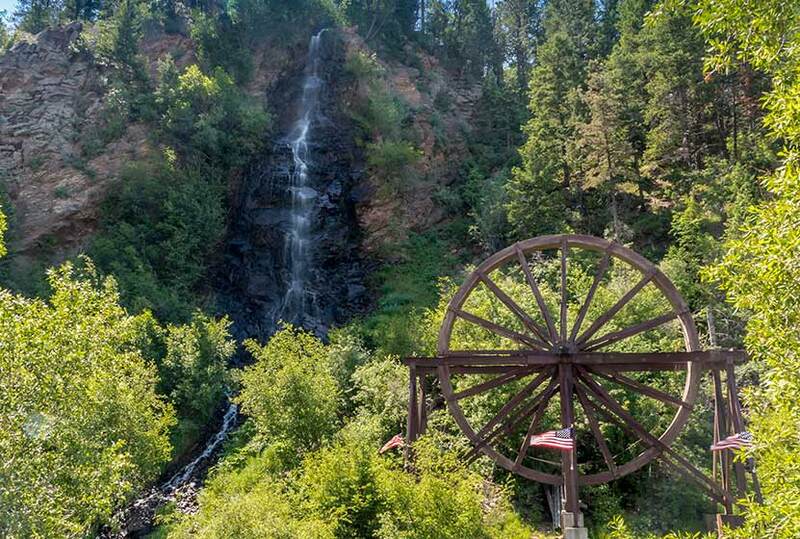 While not a trip into the Colorado wilderness, Bridal Veil falls boasts the interesting history of gold mining, an old steam locomotive, and restored water wheel. 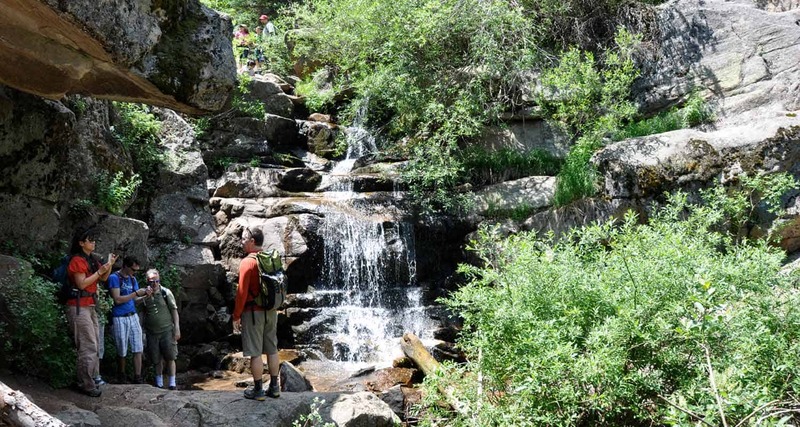 Maxwell Falls has become one of the most popular destination hikes near Denver. Best viewed in the late Spring and early Summer, this tiered fan waterfall can be accessed by either a .8 mile trail that leads directly in, or by one of two different loop hikes. Because the trails at Maxwell Falls get a lot of visitors, be sure to get there early, pick up trash when you see it, and keep your pup leashed (though it’s a USFS area, the county dog regulations apply here). See our trail profile for more details. 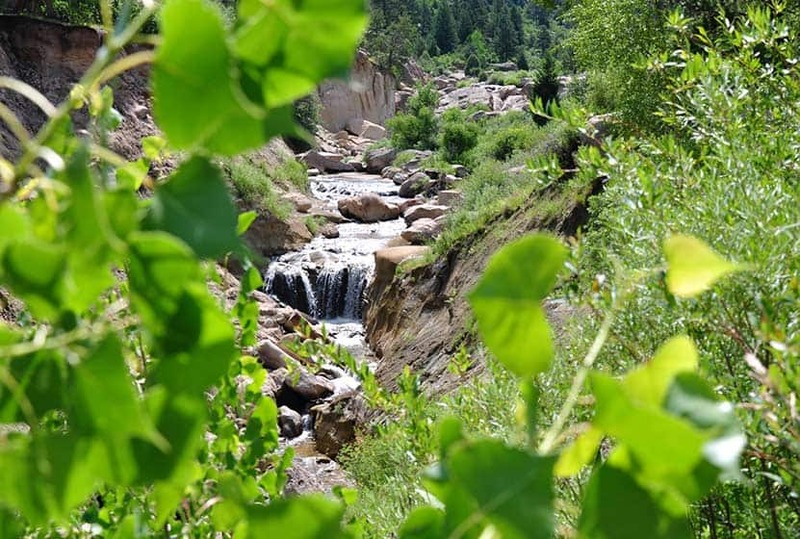 Forsythe Canyon Falls is tucked away in a canyon southwest of Boulder near Gross Reservoir. A few highlights: Forsythe Canyon offers a lot of shade, the waterfall is found in unique pinch in the canyon, and the trail ends at Gross Reservoir, a beautiful site. 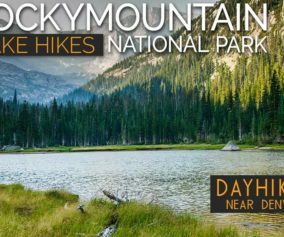 We’ve found this to be a lesser visited hike, and a great alternative to some of the busier trails.